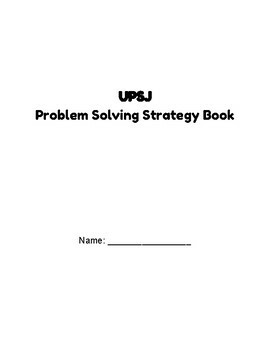 This is a great resource for problem solving! 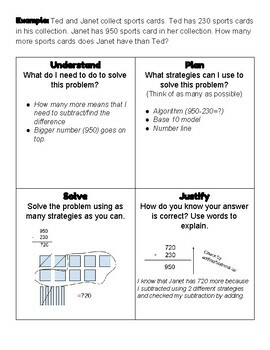 I use this resource daily with a variety of problem solving questions. You can have students write the questions in the space provided or type and print them in advance, so students can glue the questions. Explain in words how they know their answer is correct (critical writing). 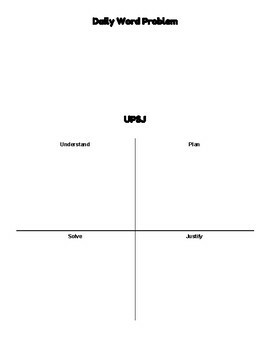 This can be modeled and practiced during whole group or small group lessons. You can differentiate the questions to suite the needs of your students. Students can use this strategy on tests and assignments and really break down and understand what is being asked of them. There are 32 total pages - enough to print as a book and use over the course of a month+ or a unit. Great for spiraling problem solving too!